Going solar can be an expensive undertaking without applying some financial incentives that are provided through the government to make solar PV competitive with conventional sources of energy. The Federal Government offers tax-paying entities a 30% tax credit on the total cost of their PV solar system. The Federal government has been implementing the ITC since 2006 to help both home and business owners adopt solar PV by providing an incentive that helps to reduce the total cost of their PV system by 30%. The ITC was to expire in 2016, but was extended to 2022 because solar PV has not yet reached grid parity in most states and hence still needs subsidies to make it cost effective. Under the new extension, the ITC will remain at 30% through 2019, and then will decline gradually for two years and eventually will fall to 10%. However, for a home or business owner to benefit from the ITC, they must own the PV system, because only the buyer or owner enjoys these tax incentives. For instance, under solar power purchase agreements (SPPA), the host will not benefit from ITC because under this financial model, the home or business owner does not own the PV system. The MACRS is another financial instrument that a PV owner can benefit from to reduce the financial risk of a PV system. The Internal Revenue Service (IRS) allows a five-year modified accelerated cost recovery system (MACRS) for commercial PV systems. A system owner can take the advantage of the entire tax benefit within the first five years even though the life span of a PV system is over 20years. This is another financial instrument used to help make solar energy an affordable alternative to fossil fuel energy sources. With US states implementing the Renewable Portfolio Standard (RPS), utilities are required to provide their customers with a minimum percentage of renewable generation by statutory target dates, failure to which will result in compliance penalties. About twenty-nine (29) states, Washington, D.C., and three territories have adopted an RPS, while eight states and one territory have set renewable energy goals. Iowa was the first state to establish an RPS and Hawaii has the most aggressive RPS requirement of 100% renewable by 2045. Solar PV owners generate a renewable energy power and can benefit from renewable energy certificates (RECs) that are bought by utility companies that want to show their states that they are complying with RPS. As such, utilities prove RPS compliance using renewable energy certificates (RECs), which represent 1 megawatt-hour (MWh) of electricity produced from a renewable energy source. States with RPS policies are known as “compliance markets” and in these markets, utilities can include purchased RECs to demonstrate compliance with states energy mandates. In order to do this, utilities can bundle RECs from different solar PV system owners hence PV owners generating an income that goes to reduce their energy costs. In “voluntary markets” which also exist, residential, commercial and industrial consumers can buy RECs from system PV owners to claim their energy is produced from a renewable source. When it comes to going solar, the system owner is the only one that can sell RECs in voluntary or compliance REC markets. In conclusion, the above analysis only represents a few financial incentives that can be used to reduce the total cost of the PV system. There are several other financial mechanisms including state rebates, solar grants and other funding schemes developed to help you reduce the financial obligations of a solar PV system. 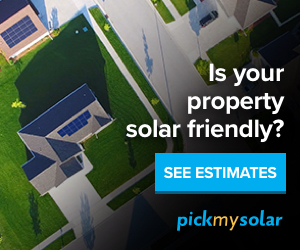 You can learn more from EnergySage or Pick My Solar and by using their solar panel cost calculator you can decide whether is solar worth it and what savings you might end-up with when you go solar.